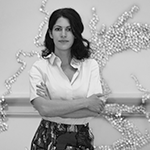 Nora Atkinson is the Lloyd Herman Curator of Craft at the Renwick Gallery, the Smithsonian American Art Museum’s branch museum dedicated to American craft. Since joining the Renwick in 2014, she spearheaded a major reinstallation of the permanent collection following the two-year renovation of the Renwick Gallery and authored Craft for a Modern World: The Renwick Gallery Collection to accompany the reinstallation. 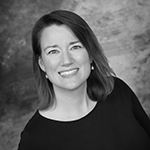 Prior to joining the Renwick she was a curator at Bellevue Arts Museum in Washington. She earned her BA and MA both from the University of Washington, Seattle. She is currently working on several projects, including a major exhibition on the art of Burning Man opening spring 2018. Chris Byrne is the author of The Original Print and the graphic novel project entitled The Magician. The Magician is included in the Rare Book and Special Collections Division, Library of Congress, The Metropolitan Museum of Art, and other libraries. Also a curator, and co-founder of the Dallas Art Fair, he contributes to Patron magazine and has organized lectures and exhibitions with Jerry "the Marble Faun" Torre, Frank Johnson, Alessandra Michelangelo, Peter Saul, Elaine Sturtevant, and co-curated ZAP: Masters of Psychedelic Art with Gary Panter. Byrne is also the owner of the Elaine de Kooning House in East Hampton. Since 2010, this informal residency has hosted artists such as Kim "Mudman" Jones, José Lerma, and Anke Weyer. Byrne is Co-Chair of Art21's Contemporary Council. He currently serves on the Dallas Contemporary's Board of Directors' Executive Committee as well as the American Folk Art Museum's Council for the Study of Art Brut and the Self-Taught. Byrne is the former Chairman of the Board of the American Visionary Art Museum. Arisara Chaktranon is a design director who co-founded the Bangkok-based architecture firm Onion in 2007 with a friend Siriyot Chaiamnuay. The 10-person practice is often tasked with creating culinary concepts with a sense of place and meaning. Since 2008, she has created 8 individually designed branches for 38-year-old restaurant Leam Charoen Seafood in Bangkok shopping malls. She develops her confidence through the passion of bringing family-run businesses to the global market. Arisara always comes up with solutions for interiors that reflect their owners' personalities. Her CODAaward winning Jerry House project is designed as much for play as it is for living. Private gallery owners often challenge her with the tasks of shelf designs, displaying Buddha statues as well as Bearbrick toys. 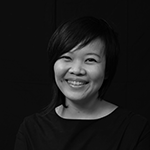 Arisara is a guest lecturer and project adviser at the Faculty of Architecture, Chulalongkorn University. 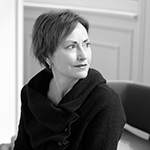 She takes part in jury panels of design competitions both in Thailand and abroad. Carl D’Aquino has become renowned as an innovative interior designer, through the application of a modernist sensibility and eclectic taste to both contemporary and period design. His extraordinary appreciation for antiques, period furniture and lighting is complimented by a fascination with cutting edge materials and invention. As principal in D’Aquino Monaco, a partnership with fellow Hall of Famer Francine Monaco, he was honored with international design awards for Silver Rain a la prairie Spa, Grand Cayman Island. Their firm lists a project roster of interior design and architecture commissions, including residential, hospitality, and commercial projects. D’Aquino Monaco has been dedicated to creating progressive spaces for close to 20 years. 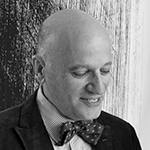 He contributes to the design community as a member of the Design Council for the Museum of Art and Design and as color consultant to the Global Color Research Panel. 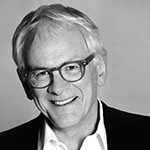 Carl was a recipient of the Benjamin Moore Hue Award and in 2007 was inducted into the Interior Design Hall of Fame. Beth Rudin DeWoody is the Chairman of The Rudin Family Foundations and Executive Vice President of Rudin Management Co. DeWoody’s past work includes: assistant director of the TV series Born Free, as production assistant for movies such as Annie Hall, co-producer of the musical production Enter Juliet, and executive producer of the documentary Who Gets To Call It Art. DeWoody is Chairman of the Arts and Culture Committee of the Assn for a Better New York, is on the Council of Conservators of the NY Public Library, National Leadership Council at United States Artists, and the Library Assn of MOMA. Her board affiliations are numerous and include the Whitney Museum of American Art, The New School, Design Museum Holon Israel, Empowers Africa, Save A Child India, Inc. and The NYC Police Foundation. 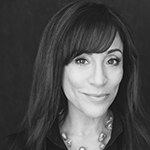 Her professional affiliations include charter member of NY Women Executives in Real Estate. She also curated many shows for several different art galleries between New York City, New Orleans, London and Vermont. DeWoody resides between NYC, Los Angeles and West Palm Beach. 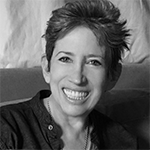 DeWoody studied at UC Santa Barbara where she majored in anthropology and film studies, and completed her studies at the New School for Social Research. In 2009, Pierre Fortin became Executive Director of the Quartier des Spectacles Partnership, the non-profit organization responsible for managing public spaces, programming activities and promoting the Quartier des Spectacles. He has guided several organizations through periods of change, demonstrating leadership and vision that enabled him to develop and implement internal and external strategies to strengthen and improve each organization’s position. After founding a community radio station, CIBL-FM, he worked in communications and marketing for a Canadian financial institution. As an employee of the Ville de Montréal, his roles included head of communications during public consultations on the city’s master plan, which helped him develop his vision of urban planning. Mr. Fortin created Bell Canada’s first communications unit focused on the business market, and was the company’s representative during the development of Montreal’s Quartier International, a mandate closely related to his interest in issues related to public space. As VP marketing for the Old Port of Montreal Corporation, he led the rebranding of the Montreal Science Centre and the Old Port. As CEO of Phaidon, the premier global publisher of the creative arts, Keith Fox has led the company in expanding its footprint in the U.S. and abroad. Under his leadership, Phaidon has partnered with brands such as Christie’s, frieze, Barneys and The Met Breuer. Prior to his current role, Fox served as president of McGraw-Hill Construction from 2010 to 2014, and was president of BusinessWeek from 2007 until 2009. That year, Fox was named one of BtoB Magazine’s “Top Innovators in Publishing” and recognized in the magazine’s annual “Who’s Who in B-to-B” list the following two years. In addition to his accomplished career, he serves as the Founding Chairman of the New York City AIDS Memorial, which was recently deeded to the City in December 2016. The memorial park, designed by Studio ai architects and artist Jenny Holzer, honors those who perished due to HIV/AIDS. Fox holds a bachelor’s degree in American history from Brown University and an MBA in marketing from Columbia Business School. 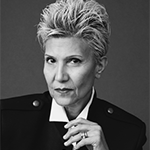 Gisue Hariri is the Co-founder and Principal Creative Director of Hariri & Hariri- Architecture, a New York-based architecture & design firm established in 1986 by Iranian-born Cornell-educated sisters Gisue and Mojgan Hariri. Their projects are holistic, boundary-less enterprises ranging from architecture and interior design to furniture, lighting, and jewelry. 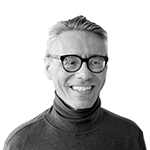 Gisue has been an Adjunct Prof. of Architecture at Columbia Univ. & a Visiting Critic at Cornell Univ. Awards include the 2015 American Architecture Award and the 2005 Academy Award for Architecture. They were inducted into the Design Hall of Fame in 2006 and named as one of today’s greatest talents by Architectural Digest in 2010. 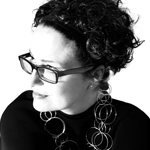 Ms. Hariri was included on the DESIGN POWER-100 list in 2014. Kellner has served Houston Arts Alliance (HAA) as Director of Civic Art + Design since 2015. She supervises the department’s administration of Houston’s Civic Art Program by way of permanent commissions, temporary art projects, and conservation of the City of Houston Art Collection. 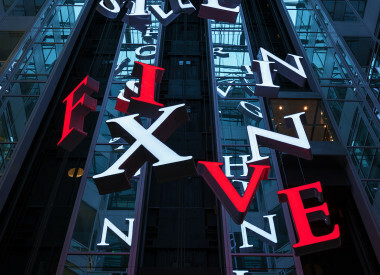 Recent projects include two major commissions, for Houston First Corporation, at the George R. Brown Convention Center: Ed Wilson’s Soaring in the Clouds and Wings Over Water by Joe O’Connell and Creative Machines. 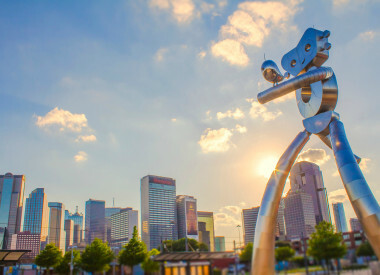 She also worked with Southwest Airlines and the Houston Airport System to develop seven commissioned works—as well as the acquisition of several pieces by Houston-area artists—for William P. Hobby Airport. A native of Buffalo, New York and Houston resident since 1999, Kellner originally moved to Houston to lead DiverseWorks Artspace as Executive Director. Prior to the post she served as Visual Arts Director for Buffalo’s Hallwalls Contemporary Arts Center. She has curated and co-curated over 80 exhibitions, many of which traveled nationally. Kellner holds a Bachelor of Fine Arts in Painting from the Rhode Island School of Design. An internationally recognized design leader and Managing Principal of Gensler’s North Central Region, Nila leads and challenges more than 400 professionals while overseeing business development for four offices. To stay at the forefront of emerging trends, Nila actively participates in initiatives tied to strategic programming, planning and design, such as Gensler’s groundbreaking Workplace Survey. Involved in numerous civic, community and industry organizations, she serves on the Chicago Architecture Foundation’s Board of Trustees, sits on the Board of Directors of Chicago’s International Women’s Forum, the Marwen Foundation and the Young Women’s Leadership Charter School, and is a member of The Chicago Network and the Economic Club of Chicago. She has been recognized with many accolades throughout her career, including the International Interior Design Association’s 2013 Leadership Award of Excellence and the American Society of Interior Designer’s 2007 Designer of Distinction Award. Nila earned her B.S. in Interior Design from the University of Minnesota. Patrick Marold has been working as an artist since earning a BFA from Rhode Island School of Design in 1997. His artistic development has maintained an intimate connection to landscape, extending the environmental traditions unique to post-minimalism. 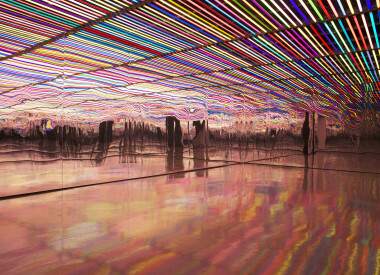 Refinement of his practice has been pursued in various locations in America and abroad, including a 2000 Fulbright in Iceland where he began to fully direct his energies to utilize spatial dynamics to generate an enhanced perception of light and movement. In 2007, Marold received international attention for The Windmill Project, a landscape installation in Vail, CO, which seeded a valley with a mass of light-generating turbines capturing and visualizing the choreography of the wind through a unique landscape. 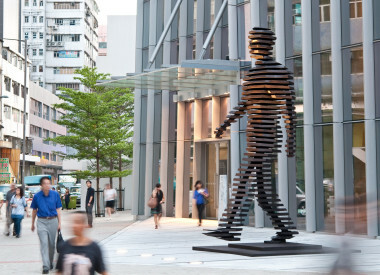 He has completed several major works, including the CODAaward-winning Shadow Array, that sculpturally bind the public spaces they occupy. Diversity in setting, scale, and technical realization have equipped him with the skill and interest to apply his vision across a broad range of sites while preserving a unity of vision. Marold maintains a studio in Denver and continues toward a means of spatial intercession, inviting the viewer to consider new orientations of landscape, materials, physical forces, and their impact on personal and communal perception. 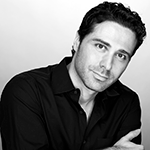 Mike Mazza is an art director, designer, creative director, and novelist. There’s a good chance that there’s something Mike’s award-winning advertising has persuaded you to buy. Whether it’s a Lexus luxury car, a Sprint Wireless plan, Häagen-Dazs ice cream or Petco pet products. Mike has won many international creative awards. Along with being named National Creative All-Star by ADWEEK, his work resides in the Permanent Collection of the Library of Congress. He has been profiled in Creativity, ADAsia, and Art Direction Magazine. He has also contributed to AdAsia and Communication Arts, one of the industry’s most respected journals. Mike has lectured throughout the country and abroad, most notably as a guest speaker for the One Club at the Great Hall of the People in Beijing, China. When he’s not designing, you’ll find him pecking away at a keyboard. His short stories have appeared in the literary magazines: Other Voices, WORDS, Blue Mesa Review, TINGE, and ZYZZYVA. His debut novel, is set for release in June 2017. He is currently Lead Designer in the Brand Innovation Group at Salesforce. 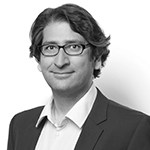 Emre Onur is chief-editor of LICHT magazine. 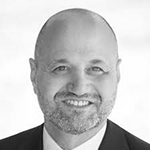 He studied Architecture and Urban Planning at the University of Stuttgart and then obtained an MBA in International Management at the University of Applied Science Nürtingen. He has over 12 years of experience in publishing and media and worked for several media companies and magazines in the architecture and lighting field as chief-editor and product manager. Emre lives in Munich, Germany. LICHT is the largest German-language trade journal in the lighting sector, with articles on lighting planning, technology and research and exists almost for 70 years. LICHT is published 9x a year and is based at Pflaum Publishing in Munich, Germany. Founded in 1980 by George Yabu and Glenn Pushelberg, design firm Yabu Pushelberg is now one of the most recognized design firms worldwide. The firm’s multidisciplinary approach is informed by an endless curiosity and driven by partnerships with thoughtful, creative like-minded people. Evolving to encompass all aspects of design, and now also including many product collaborations, each new venture reflects an edited approach that is imaginative, thoughtful and honest; continuously shifting between the rational and the intuitive. 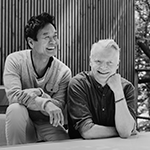 George Yabu and Glenn Pushelberg have been recognized as design industry innovators and have earned countless accolades for their work and for their contributions to design excellence internationally. With studios in Toronto and New York, and current projects in over 16 countries, attention to detail and a spirit of exploration remains a hallmark of the firm. 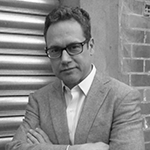 Michael Royce is the Executive Director of the New York Foundation for the Arts, a 45-year old service organization that serves emerging artists, arts administrators, and arts organizations through grants, online resources and professional development training. During his time at NYFA, Michael has managed over $100 million dollars worth of programming and services. 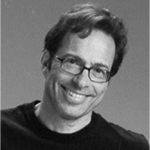 In this capacity, Michael has worked with institutions such as the LA Department of Cultural Affairs, the New Jersey State Arts Council, the Massachusetts Cultural Council, and the Korean Cultural Service, among others, serving on panels that award public dollars to excellent cultural not for profits. He was the co-chair of Grantmakers in the Arts Individual Artists Group Steering Committee for three years, and currently chairs the musical affairs committee for the University Club in Manhattan. As a trustee, he served on the New York Council of Nonprofits, the Jersey City Museum, the Art Directors Club of New York, and the Rebecca Kelley Ballet. He also served on the Manhattan Community Board 5 for several years. Additionally Michael received the Ellis Island Medal of Honor for his contributions to the arts and currently serves on the Blue Ribbon Commission on the Arts for New York State. Antonio Pio Saracino born in Italy, studied at Rome’s “La Sapienza” University of Architecture and began his career working in architectural firms, including Massimiliano Fuksas in Rome. Saracino work spans the globe. He has designed buildings, monuments and products. His work is part of the permanent collection of several museums, including the Centre Pompidou in Paris, the Brooklyn Museum, the Museum of Art and Design in New York, and the MAAS Museum in Sydney. 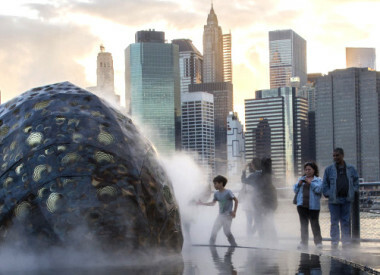 In 2013, Saracino was commissioned to design The Guardians: Hero and Superhero, two permanent installations in Three Bryant Park. He has received two American Architecture Awards in 2007 and 2014 from the Chicago Museum of Architecture, is a four-time winner of Interior Design’s Future Furniture design competition. 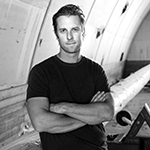 His design work has been featured in Interior Design’s “Best of the Year” issue, as well as international publications, such as the NYTimes, WSJ, Architectural Digest, Vanity Fair, and Vogue. Saracino lives and works in NYC. Shaw has devoted her career to the advocacy of good design. 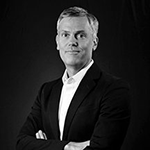 A design marketing consultant who conceived of the International Contemporary Furniture Fair, Shaw worked closely with its show management in the development of the ICFF and Accent on Design. She currently leads NY NOW’s green initiative, Sustainability: Design for a Better World. Shaw & Co. Productions produces a variety of design, art and corporate marketing events, award and educational programs, and has a diverse international clientele. Shaw serves as a founding member of the Steering Committee for NYCxDESIGN, New York City’s design initiative and official design weeks, during which Shaw produces Design Pavilion, a 5-day public cultural event intended to increase awareness of the power of design, and NYC Design Talks, offering inspiring topics by some of today’s most insightful design thinkers. Shaw serves on the board of trustees for DIFFA: The Design Industries Foundation Fighting AIDS and co-founded Operation Design, a not-for-profit which creates mentorships and creative programs between architects, designers, artists and NYC public schools. R.H.Siegel Architect FAIA was established by Robert H. Siegel (Bob) to render Architectural and Interior Design services. The firm offers consulting services to architectural and interior design firms to assist with in-house capabilities in design, management and marketing. In 1967 Bob founded Gwathmey Siegel & Associates Architects with Charles Gwathmey in NYC. The firm completed over 400 projects. He received a Bachelor of Architecture from Pratt Institute and a Master of Architecture from the Harvard Graduate School of Design. 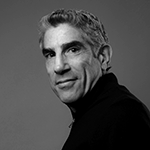 Bob has been a faculty member of Pratt’s School of Architecture, a member of the Harvard Grad School of Design Alumni Advisory Board, as well as a Trustee of Pratt. Bob is currently enrolled in the NY Studio School of Drawing, Painting and Sculpture. David Wagner has been practicing architecture in Charlotte for over 40 years. His firm, Wagner Murray Architects, has envisioned a number of projects in Charlotte including Bank of America and Seventh Street Parking Deck and Market. His firm reconstructed the former Barclay’s American Building, a 50 year old high rise and worked on The Green, an internationally recognized urban park. The firm also served as the Architect of Record for the Bechtler Museum. The firm’s LEED certified Hickory Grove Library was cited as one of the lowest operating cost, energy efficient buildings in the library system. Wagner was the founding chair of Classroom Central, a free store for teachers established through the Charlotte Chamber. He was Founding member and first chair of Charlotte Trolley, Inc., the first chair of Center City Area Council for the Charlotte Chamber, and served on the boards of a number of organizations over his career. He maintains a long term commitment and involvement with the Levine Museum of the New South. 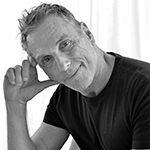 Ken Wampler is the Founder and Executive Director of The Alpha Workshops, a not-for-profit school and design studio serving creative people living with HIV. Alpha is a nationally recognized school of decorative arts licensed by the New York’s Dept of Education. Alpha employs graduates of the school in its full-service decorative painting and fabrication studio creating signature work that have appeared in many publications such as Interior Design, Elle Décor, and Architectural Digest. Alpha has been recognized with multiple awards. In 2013 Wampler was inducted into the Interior Design Hall of Fame with its first ever Humanitarian award. In 2015 he was a lecturer at SCAD for its series - Human-Centered Design. Wampler has worked as a decorative artist painting fabric for high-fashion, theater costumes, and fabrics and furniture for nationally recognized interior designers. As a fine artist, Wampler has been featured in gallery exhibitions, and his paintings and drawings are in a number of private collections. A world-renowned interior designer, Vicente Wolf has been named one of the ten most influential designers in the U.S. by House Beautiful and has been inducted into the Designer Hall of Fame by Interior Design Magazine. Wolf has been at the top of the Manhattan design industry for over 35 years. Wolf’s portfolio offers the ultimate global aesthetic, from multinational conglomerates to private homes, from hotels and restaurants to product design. Wolf has produced 5 books, Learning to See, Crossing Boundaries: A Global Vision of Design, Lifting the Curtain on Design, and Frida Kahlo: Photographs of Myself and Others which comprises a cache of rare and never before published materials from Vicente’s private collection. His fifth book, The Four Elements of Design, is based on Vicente’s belief that the classical elements – earth, water, air, and fire – form the basic building blocks of great interior design. Vicente is a sought-after public speaker, having lectured worldwide. 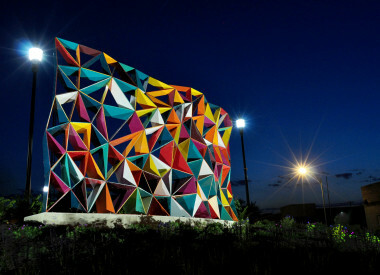 He also teaches an annual course through Parsons School of Design in the Dominican Republic. Wolf was featured in Absolut Vodka’s ‘Absolute Design’ campaign.